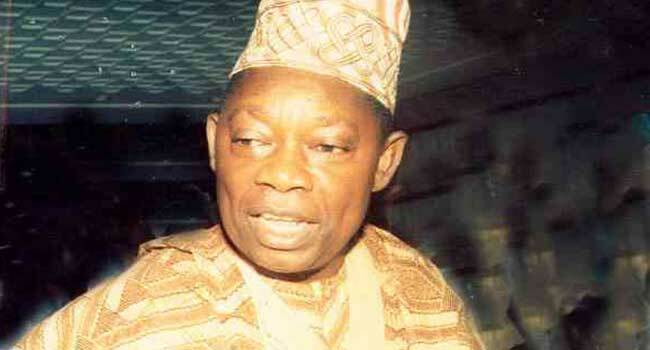 A file photo of MKO Abiola, the presumed winner of the June 12, 1993, presidential election. The House of Representatives has adopted June 12 to commemorate Democracy Day in the country. The lawmakers took the decision during plenary on Thursday in Abuja after the adoption of a report on the bill seeking to approve June 12 as Democracy Day by the Committee of the Whole. They considered the report on “A Bill for an Act to Amend the Public Holidays Act, Cap. P40, Laws of the Federation of Nigeria, 2004 to bring the Act in tandem with the current realities and exigencies of the modern times and to declare June 12 as Democracy Day in Nigeria and for Related Matters”. The report recommended amendments to three clauses ‎in the Act and this was adopted by the lawmakers. One of the amended clauses replaced May 29 with June 12 as Democracy Day. The House Committee Chairman on Rules and Business, Edward Pwajok, co-sponsored the bill. With the adoption, the bill seeking to approve June 12 as Democracy Day has passed a key legislative stage in the House. However, it has yet to pass through the third reading and be finally passed by the lower chamber of the National Assembly. The bill was read and passed by the lawmakers for the second time in late November. The passage came months after President Muhammadu Buhari announced to the country that June 12 would be celebrated as Democracy Day going forward. The President had explained in June that the date was more symbolic of democracy in the nation’s history than May 29.